Fear! 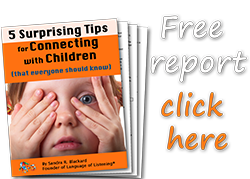 It started with a marketing campaign I launched for our handbook, SAY WHAT YOU SEE®. I was fine putting something up on the website, but the idea of marketing by putting myself out there made me want to run away. Here are the 5 steps I took to move from debilitating fear to fun in only 10 days! Eva helped me recognize the emotion as panic and find my trigger word, “marketing.” Another friend, Janna, suggested that I focus on my body during the panic since my mind goes blank. So for the next week I said what I saw to myself in response to the word marketing: “Here it comes again. Your face and arms are tingling and cold. Your stomach is tight. That feels awful! No wonder you want to run away.” Observing, rather than blindly reacting reduced the fear. STEP 2: Find the belief and say what you see to yourself. Right on cue another friend, Elizabeth, showed up. During our conversation she heard me say, “I feel like I have to defend myself, and I can’t. I don’t have the right credentials.” Bingo! That was the debilitating belief. Never mind my over 15 years of experience and success. That old belief was still running the show. My say-what-you-see-for-you phrase, “You feel like you have to defend yourself, and you can’t,” got me to the next step. STEP 3: Find the childhood source of the belief. Whoa! That was the source. It was what my dad used to say when I did something wrong. I felt like I had to defend myself and couldn’t. What was at risk? My dad’s approval, or from a child’s point of view, my survival. Panic was justified. When I shared this with my sister Randi, she pointed out that Dad’s question (or more accurately non-question) was a huge improvement over what he had experienced as a boy. Back in the days when children were to be seen not heard, he was backhanded anytime he tried to defend himself. This was his attempt to give his kids a chance to be heard. He couldn’t have imagined we’d be too scared to answer, because he would have jumped at the chance! STEP 4: Watch it all unwind. Notice how everything you've done in relation to this belief suddenly makes sense. For me it was most obvious in Language of Listening where my goal is to give every child on the planet a chance to be heard. A chip off of the old block, you might say? Yes, personal growth continues across generations. Finding the source took me from insight to breakthrough! STEP 5: Make it real. Put your new belief into words that resonate with you, and take actions to prove it works. My new statement is, "You don't have to defend yourself!" I get tickled each time I think it, like I somehow always knew it was true! It's a great reminder and confidence booster for the challenging moments ahead. The action I took was to give a presentation. My usual 5 minutes of dry mouth and week knees in front of the room was replaced by a joy of sharing. I even gave myself permission to say, “You can ask me about anything that doesn’t sound right to you. Feel free to challenge me!” They did, and it was fun! What is a fear you would like to break through? Start with what is true for you and comment below. If you'd like me to say what I see back, just ask!